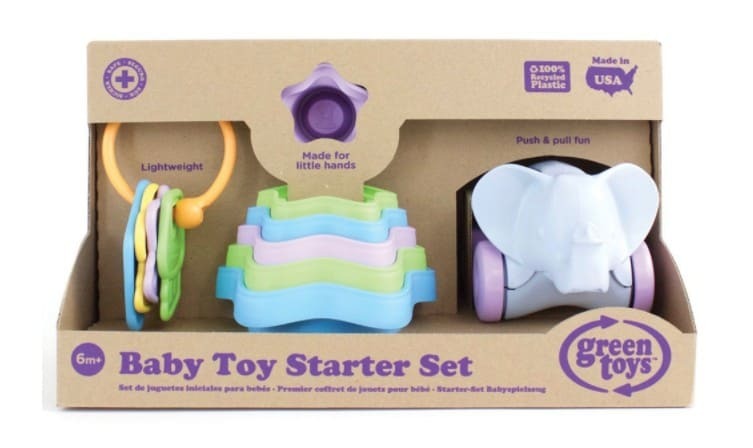 The Green Toys Baby Toy Starter Set (First Keys, Stacking Cups, Elephant) is on sale for $5.49 at Amazon right now. That's 58% off the list price of $12.99! Made from 100% recycled material^Made in the USA^Safe & Non-toxic, no BPA, Phthalates or PVC^Dishwasher Safe^Packaged with recycled and recyclable materials printed with soy inks.